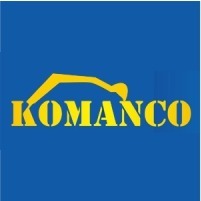 Komanco was established in 1995 to service the earthmoving industry. We focus on Komatsu excavator repairs, rebuilds and supply of Komatsu parts, new and used. The company was originally started by Trevor Phelps and has now grown to be a family business that is based in the East Rand area. We at Komanco believe to give our clients fast and good service so that they can come back and bring a friend too. Our primary expertise is on Komatsu excavators. We also do the following new Komatsu parts, Hydraulic Components , Excavators , Final drive parts , Komatsu engines , Service exchange units , after market parts , Second hand parts , Machine rebuilds , Field service , seal kits , electrical parts , hydraulic pumps , Swing motors , Control valves , recoil valves , Swivel joints ,transmission and many more. Please feel free to view our Product and Service page. We also specialise in rebuilds on other Komatsu excavator components and can be done e.g. wheel loaders and dozers on request. We believe in giving a client what they want and make sure that the service is excellent so that we can build a long and successful business relationship with each and every client that we meet. Our goal is to make sure all our work gets done fast and in a short time so that our client list can grow faster. One of our team members Dominic did his apprenticeship at Komanco and qualified in February 2010 (Olifantsfontein). His 6 years experience is on the Komatsu product offering.